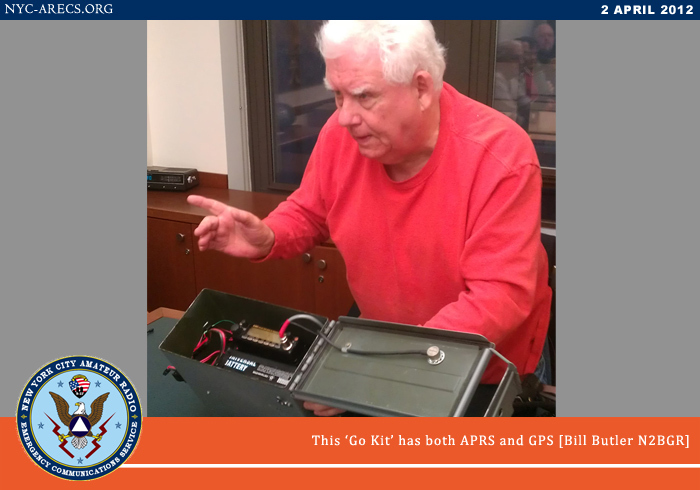 On 2 April 2012, Bill Butler, N2BGR, of Staten Island, provided the NYC-ARECS team with an overview and demonstration of an Alinco VHF/UHF portable "Go Kit" at the April 2012 team meeting. 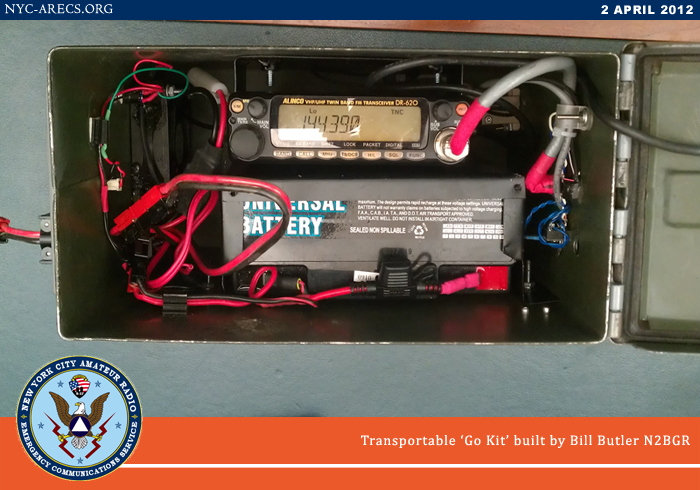 Bill's kit is self-sufficient with a battery inside, but also is external power adaptable via Anderson Powerpole Connectors. 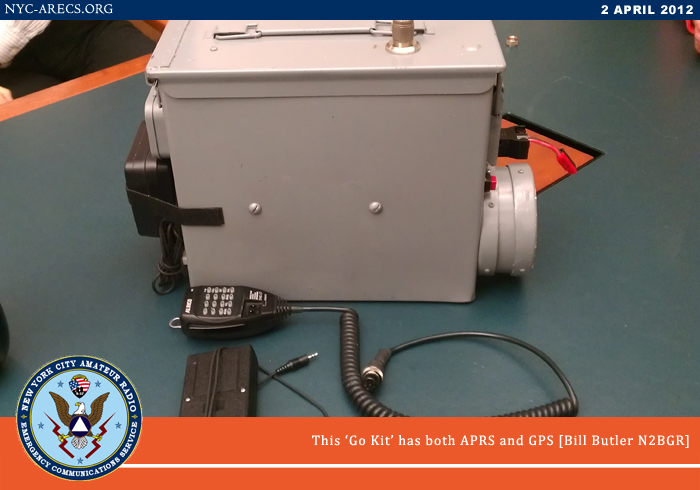 The radio works seamlessly with APRS via external GPS. To reduce heat, it is equipped with a forced-air fan. The radio can work with headphones, an external speaker, or both at the same time. 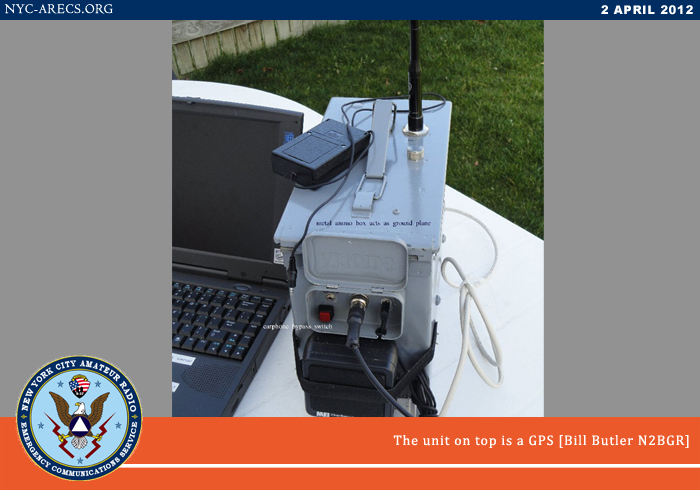 Screw in a mag mount antenna to the top of the box then put this radio in a vehicle and it becomes a 45 watt powerful mobile radio platform.